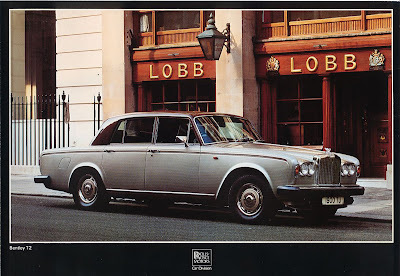 As discussed earlier here, it would have been unbelievable if one was to say that in 25 years time a pair of Lobb shoes are more expensive to buy that the Bentley T2 parked out the front in this Rolls Royce car division press photo. Believe it. A pair of Lobb shoes are now more expensive to purchase than the Bentley. It is with surprise that Rolls Royce has done it again. This time they have parked a Rolls Royce Phantom outside the front of Mulberry. 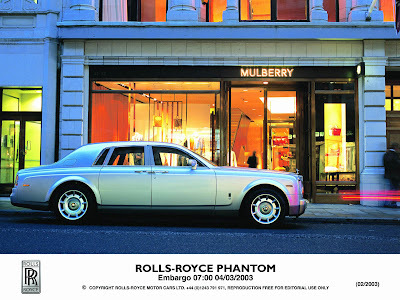 Do I dare predict that in 25 years time a Mulberry handbag will be more expensive than the Rolls Royce Phantom? It is a maybe. Fossil fuel decline, ban on polluting cars, no car older than 10 years on the road - they are all possible pieces of legislation. 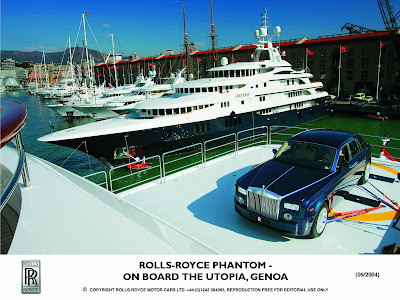 But I really do not think that the Phantom will be worth anywhere near this yacht ever.